DAYS 1 and 2 are in the can - we have Techweek TV as a going concern, it's happening! 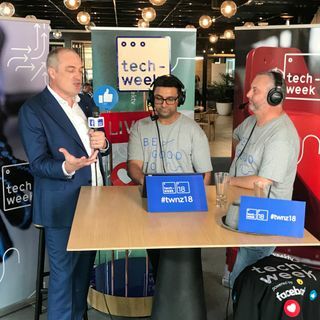 We learned that #ai is writing media, #electric bikes are fun, the passion of the many to #collaborate and grow the #newzealand #tech industry, what #UpStarters is, how awesome #cricket #bats are made, and Techweek NZ is a massive beast! We'll be LIVE tomorrow from the #Tauranga headline event chatting with #Agritech, #foodtech, and all things #food. 12pm-2pm - let us know where you'll ... See More be listening from!